Hey y’all. I hope that your November is off to a fantastic start. If you are a subscriber to the book’s newsletter (which you should be! ), you know that I stated I’d be going as a famous educator for Halloween, the amazing Tami Taylor of Friday Night Lights. 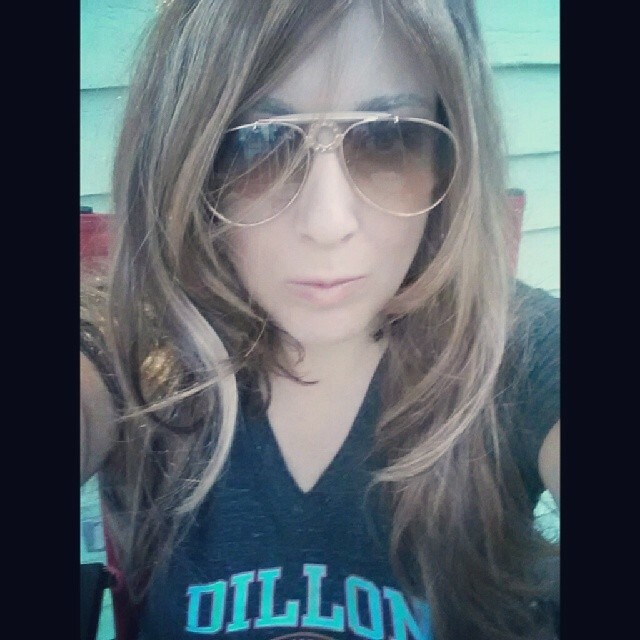 Here is a pic in my wig, aviators and Dillon Panthers (#33, of course) t-shirt. Luckily I was accompanied by my personal version of Coach Taylor, too! Goodreads Contest Results– I received just under 300 entries for our my Goodreads giveaway before our November 1 deadline. I was floored by the response! I’ve sent copies to our 3 winners- Justin, Liz and Hilary- and am excited to hear what they think. Also, a reminder: you have 2 more days to enter our giveaway on Tomoson if you are a blogger. Book Tour Event- We have our first in-person book signing! Join me on Saturday November 16, 2013 from 3-5PM at Barnett Educational Supplies in Savannah, GA. You can receive more information about the event via Eventbrite. If you’d like a flyer, download it here. I’m confirming more dates for a book tour. Most events are free for organizations with a minimum RSVP (subject to change). I’d love to talk at your bookstore, teacher supply store, teacher education program, teacher group, district or school, or any other organization or person who’d like to book me for an intimate Q&A on recruiting and job searching, as well as a reading and author signing. I am using a service called Togather to book dates through February 2014, but feel free to contact me directly with questions. Thanks and keep on working on your career goals everyone!